In this important new book, Jonathan Webb gives young Canadians a comprehensive look at Canada’s efforts in wars ranging from the Boer War of 1884 up to the war in Afghanistan. 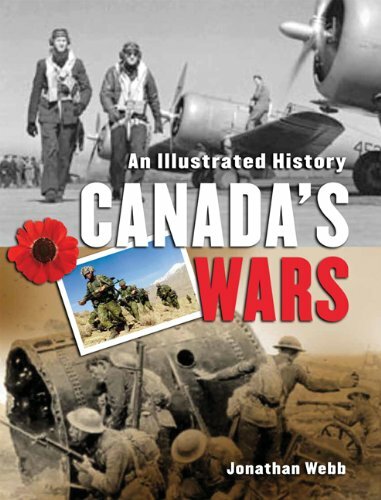 Each section provides an overview of the wars themselves, and the circumstances under which Canada and Canadians became involved, whether government-directed or by personal conviction. What emerges is a fascinating story of our growth as an independent nation, along with an ever-evolving definition of the peacekeeping role our country plays on the world stage. Unidentified infantrymen resting in a damaged streetcar, Vaucelles, France, 18 July 1944.